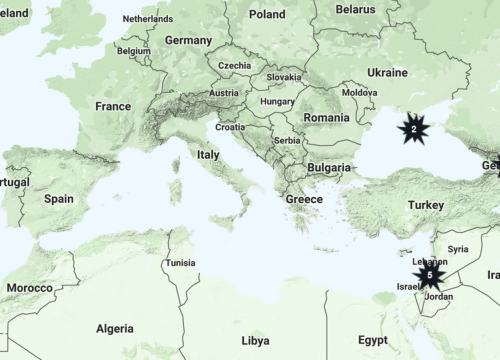 Our Rule of Law in Armed Conflicts (RULAC) online database features nine new military occupations. 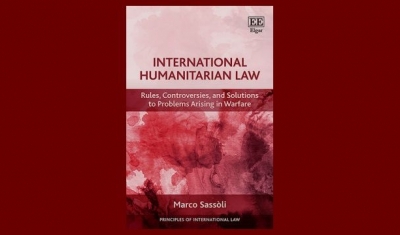 It provides, for each one, the factual and methodological basis for its classification and identifies the parties and the applicable international law. Visitors can discover them either by browsing the map or by browsing conflicts per types or regions. ‘Under international humanitarian law, military occupations are supposed to be a temporary situation. Yet, as these new entries illustrate, most military occupations go on for years and become entrenched with no change of the situation in sight’ underlines Dr Sandra Krähenmann, Research Fellow at the Geneva Academy. RULAC is still under development and new entries continue to be regularly added. Armenia is the occupying power in the Nagorno-Karabakh region of Azerbaijan. It exercises its authority over Nagorno-Karabakh by equipping, financing or training and providing operational support to the self-proclaimed Nagorno-Karabakh Republic and its forces, but also in coordinating and helping the general planning of their military and paramilitary activities. Turkey is the occupying power in areas of Northern Cyprus. Turkey exercises control through both the presence of its armed forces, and the authority it exerts over the self-declared Turkish Republic of Northern Cyprus, which is the de facto authority in the area. Approximately 1,000 km of Eritrean territory, in and around the town of Badme, is currently occupied by Ethiopia. Following a border conflict between Eritrea and Ethiopia which started in May 1998, Ethiopia currently occupies approximately 1,000 km of Eritrean territory, in and around the town of Badme. Ownership of this area is disputed, but in 2002 the Eritrea-Ethiopia Boundary Commission, established pursuant to the Agreement of 12 December 2000 between the Government of the State of Eritrea and the Government of the Federal Republic of Ethiopia, decided that Badme and the surrounding area formed part of Eritrea, and not Ethiopia. Russia is the occupying power in areas of South Ossetia and Abkhazia, which are internationally recognised as forming part of Georgia. Russia exercises its authority over these regions by its overall control of the separatist movements, which had previously established de facto control over the regions. In other words, Russia is using proxy forces. Russia is the occupying power in the Moldovan territory of Transdniestria. Russia exercises its authority by its overall control over the de facto government of Transdniestria, i.e. the government of the self-proclaimed ‘Moldovan Republic of Transdniestria’. In other words, Russia is using proxy forces. Russia assumed overall authority in July 1992, when it provided troops to monitor the ceasefire between Moldova and Transdniestrian separatists. Israel has been occupying the Shebaa Farms since 1976. The Shebaa farms are an area internationally recognised as forming part of Lebanon. Israel is internationally recognised as the occupying power in the West Bank, including East Jerusalem, and the Gaza Strip. Israel has occupied the West Bank, including East Jerusalem, and the Gaza Strip since the end of the Six-Day War in 1967. Today, this prolonged occupation takes a unique form. Israel is the occupying power in the West Bank. However, as a result of the Oslo Accords, direct authority over the West Bank is divided between Israel and the Palestinian Authority. Despite the modalities of this agreement, Israel retains overall control over the entire territory. Israel withdrew its ground forces from the Gaza Strip in 2005, as part of a unilateral disengagement plan. However, consequent to the level of control still exercised by Israel over the Gaza Strip, Israel continues to be recognised as the occupying power. Since June 1967 Israel has occupied the Golan Heights, an area internationally recognised as forming part of Syria. Morocco has been occupying the Western Sahara since 1975. Morocco is opposed by the Frente Popular para la Liberación de Saguia el Hamra y de Río de Oro (Polisario Front), a national liberation movement set up in 1973 and recognized as representing the people of Western Sahara by the United Nations General Assembly in 1979. Seeking self-determination for the people of Western Sahara, the Polisario Front established the Sahrawi Arab Democratic Republic (SADR), in 1976. However, the question whether the SADR is a state as defined by international law remains controversial. Morocco controls two thirds of the territory while the Polisario Front governs the remaining area. Our RULAC project is supported by students from the Human Rights Centre at the University of Essex. The new military occupation entries were drafted by students enrolled in the University of Essex’s LLM in International Human Rights and Humanitarian Law, in accordance with the RULAC methodology.  These were then revised and complemented by the Geneva Academy. 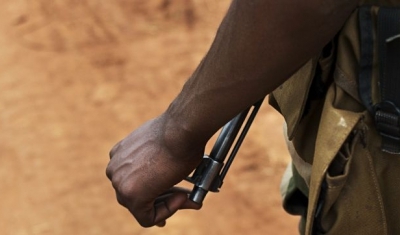 While there are many different definitions of armed conflict used for different purposes, the question whether a situation of armed violence amounts to an armed conflict under IHL has important consequences. States involved in armed conflicts have rights and duties that do not exist in times of peace. 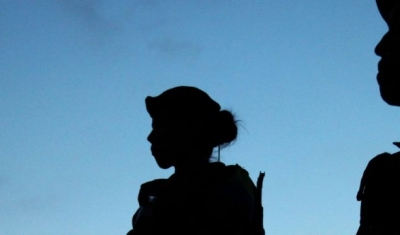 The classification of situations of armed violence is fraught with difficulties. Many states deny that they are involved in armed conflicts, arguing instead that they are engaged in counter-terrorism operations. Others apply IHL to situations that do not amount to an armed conflict. Moreover, contemporary armed conflicts are increasingly complex due to the multitude of state and non-state parties involved. 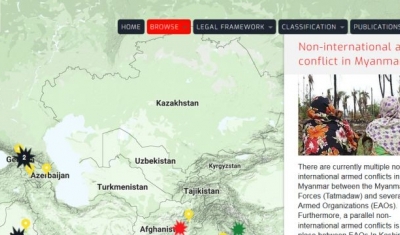 Based on open source information, RULAC provides an independent and impartial assessment that identifies situations of armed conflict under IHL. It is intended to assist other actors that may want to classify situations of armed violence for their purposes. 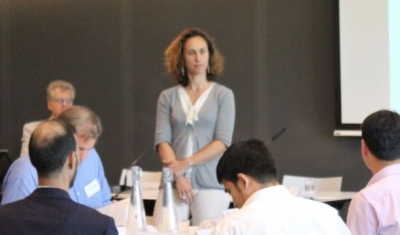 By making such information available to a broad, non-specialist audience, including by using visual tools, the RULAC project strives to promote a more coherent approach classifying conflicts, and, ultimately, to foster implementation of the applicable legal framework, a key element for accountability and the protection of victims. 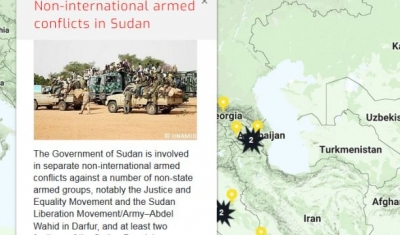 Our Rule of Law in Armed Conflict (RULAC) online portal provides a detailed analysis and legal classification of the various non-international armed conflicts that are taking place in Sudan, including information about parties to these conflicts.